Shop Vox AC30 HW2 Hand Wired Guitar Combo Amplifier from AMS with 0% Interest Payment Plans and Free Shipping. There may never have been an amp boasting such a lofty and pure sound in the entire history of Vox. The Vox AC30 HW2 amp relies on the painstaking technique of turret board hand-wiring - a method requiring a high level of skill and craftsmanship - is used, resulting in wiring that's beautiful in its artistry, ensuring an efficient signal path with minimal loss and no restriction in amplitude. In the Hand Wired Series, tubes, transformers, speakers, chassis, and custom parts all join together in an ideal state to deliver the richest and most powerful sonic experience - the ultimate amp. Not bound by tradition, the Vox AC30 HW2 amp also provides a variety of new functions that keep pace with the needs of today's artists. Offering a rich variety of tonal shadings and a broad model lineup, the enormous potential of the Vox Hand Wired Series will reveal itself in any musical scenario. Turret board hand-wired amps are every amp designer's ideal and every guitarist's dream, representing the ultimate in amplifier construction. Hand-wired amps are assembled entirely by hand, requiring staggering levels of technical expertise and care; and as such are often exclusive to today's limited productions or high-end models. 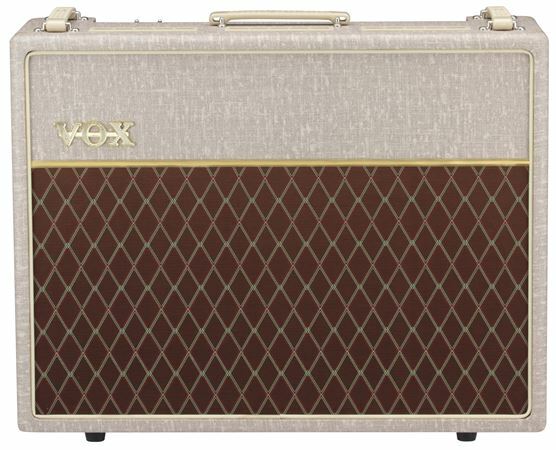 The Vox AC30 HW2 pairs these demanding methods with rigorously-selected custom parts. These premium components are wired with a truly artistic degree of perfection. The result is that the subtle nuances of the guitarist's touch, the guitar's audio signature, and the natural character of the vacuum tubes are passed with perfect transparency to the speakers. The Vox AC30 HW2 amp preserves the traditional Vox two-channel design, providing a Top Boost channel and a Normal channel. True to form, the Top Boost channel delivers the legendary AC30 sound with a fully interactive tone stack. Vox has also added a new and unique Hot/Cool switch. The Cool setting produces the orthodox Top Boost sound, while the HOT setting bypasses the tone circuitry altogether to create a more pure sound to achieve richer gain. A VFS1 footswitch is included with your Vox Hand Wired Series amp, so you can quickly change between Cool and Hot, right at those moments when you need an extra dose of drive. The controls for the Normal channel consist simply of a volume knob, giving you a cleaner and more natural tube sound. In addition, this channel offers a Bright switch that, when engaged, adds emphasis to the upper harmonics of the tone. Product is in great condition brand new and love how it sounds. I've ordered from this company 5 times now and never disappoints. Love how you can make monthly payments on things like this. Genius. Hand wired is the way to go. 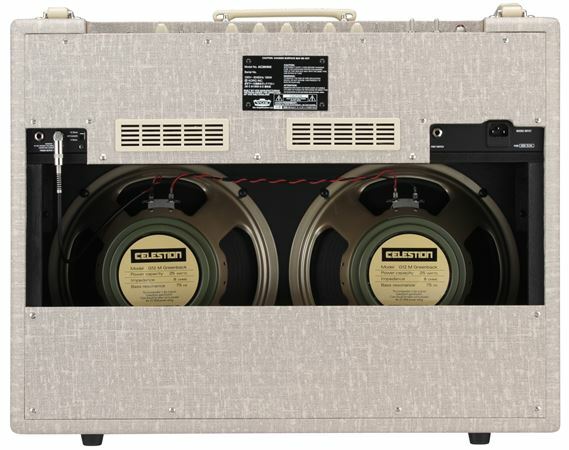 This amp is so clean and versatile. I have played through other Vox amps but the sounds that come from this one will melt you. Have played Marshall to Mesa to Orange. There is no better value for the money. I highly recommend for any level of player. I was hoping that the HW series would be close to the earlier AC30TB and I’m happy to see that it will get you in the ballpark. There are some gorgeous tones to be found in this amplifier. The normal channel is well voiced and the lack of tone controls is not a problem at all. The top boost channel is excellent as well, with more jangle, and chime than the normal channel. You can dial in just the right amount of bass and treble and the hot switch adds some growl and oomph. If you’re after a more traditional sound, the master volume bypass switch is there for you. I love this amp! Vox AC30's will always be one of the GREATS! I'm a big rock fan and I've always heard about the AC30 growing up my whole life from bands such as The Beatles (Obviously) to modern bands like Tame Impala and Arctic Monkeys. I love British products and music the most (though I am a yankee). The AC30 might keep evolving because of where it's manufactured and such, but it still sounds spectacular. I was thinking about getting the 60th anniversary since it's made in England, but I just couldn't wait and I'm glad I got this version. The Vox Ac30HW2 is by far one of the best amplifiers I’ve had the pleasure of playing. The versatility allows me to dial in any range of tone from a mild break up to over the top round aggressiveness. 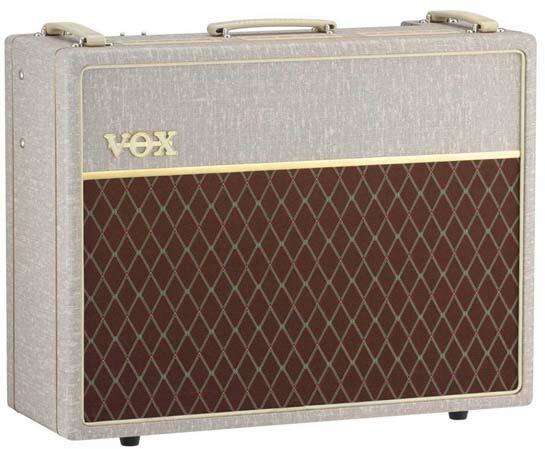 With the Vox Ac0HW2 you can start with a phenomenal clean tone then dial in the perfect amount natural “break up”. If you’re looking for extra bite you can plug into the “Top Boost Channel” on the high input for a more aggressive style. I am constantly getting complimented on my range of tones after our sets! Not to mention the amp looks beautiful on stage with its unique aesthetic. I love the fact that it’s handwired so I know it can handle the road and long tours. American Musical Supply made it easy for me to purchase the amplifier with their easy no - interest payment plans! I've been through a few iterations of the Vox AC30, including the Custom Classic 2. This amp still puts out that jangly bright tone that Vox is known for, but builds on it so much more. The hand-wired nature of the amp makes all the difference. Incredible breakup on the the top boost channel, with the added "Hot" channel for the extra gain (which can pretty on par with high gain metal drive). The Normal channel is perfect for running a pedalboard and multiple drive pedals. I know the AC30 is known for being temperamental with running drive pedals, but that is not the case with this amp. Ran A Bondi Effects Sick As Overdrive through it and it sounded incredible. The amp can be as versatile as you want it to be. If you are looking for the classic Vox tone, this is the epitome of it. If you want a nice amp with a great drive section, but need a good foundation to run a pedalboard through and achieve a wider range of tones--this amp can do it just as well. The amp of a lifetime! Fabulous build on this amp, from all points! If their was one amp of a lifetime to sacrifice for this is the one, it will never come up short on its mojo! over the years, vox has made considerable changes in its operations, and now has rock solid gear. The ac30 hw2 represents their absolute finest hand wired offering to date! vox really produced a stunning amp with the ac30 hw2. Its absolutely phenomenal! This amp will definitely improve your playing, as it really puts you in touch with all the little things your missing and not hearing! Superb tone, and I should know being a tone freak! I was put off at first with the blonde finish, but seeing it in person it really is super classy! Controls are silky smooth, and very responsive!